I am writing the review for my parents. After the first time I recommended this serum to my mom and now the serum became my family routine product. My Mom is soft and fine hair type and my Dad and I are moderate thick hair. 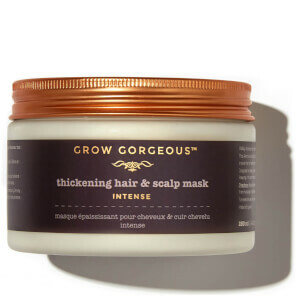 All of us feel more comfortable scalp health when we use the product, and my mom said it helps her hair growing since she found some new and young hair after 1 bottle. Also it smells gentle and nicely. Bought a bottle for myself about a 8 months ago and gave it to my daughter because I always forgot to use it. She has since reordered and been using this daily for 6 months and I have never seen her hair grow this long or look so full. She has even been able to grow her hair out on her left side, which would always break off once it reached a certain point. I'm convinced this works. I've been considering other hair treatments as I've been struggling with thinning hair but after seeing her results, I think its definitely worth a try. I'm ordering two bottles this time.. one for each of us! I used the regular one before, It helps on hair lose, but not much. This intense works better than regular. 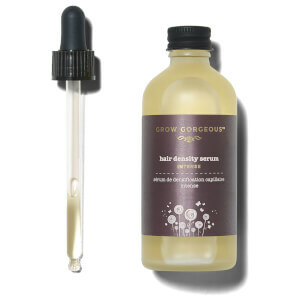 Very easy to apply and use hair serum. On my second bottle already and love it. Very nice texture and smell. Weightless feel in hair and easy to style after using. Great to mix with other Grow Gorgeous products as well. 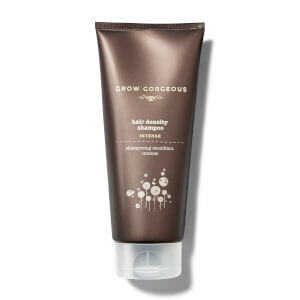 Big fan of the Grow Gorgeous line. REALLY liking this intense serum thus far. Have seen some minor regrowth, which is a plus. Easy to use and apply. Not sticky or messy. Pleasant smell too. 3 bottles, no difference. Seems to be less hair. It doesn't do anything it says it does. If anything it prevents your hair from growing :(. I used shampoo, conditioner & serum as a system and ended up extremely extremely extremely disappointed. Just save your money.